Candice Marie's Closet: Kohl's haul! Last night I did some damage at Kohl's. Above are some of the items I got on sale. I've said it before, I love Kohl's, but ONLY when there is a sale and I have a coupon (this time it was 30%). If there is no coupon involved, I really can't justify spending money in there. 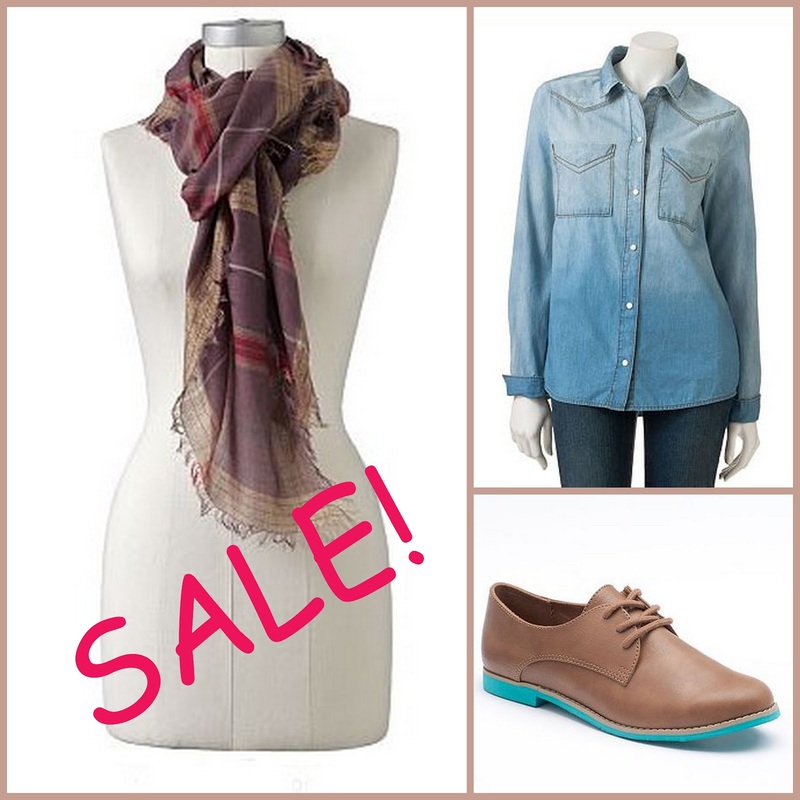 The shirt was $14, shoes $11 and scarf $10. I got some other things like a cute flannel shift for the bf, a breakfast griddle we really needed and many more pieces of clothing for moi. If you have a card, then you received a coupon and if you don't have a card you will get the coupon when opening up one. I hate having credit cards and what I hate even more is store credit cards (but you're only entitled to the coupons if you're a card holder). Anyways since it isnt that often, it works out fine for me to have the card and reap the benefits! Oh you also get $10 Kohl's cash back for every $50 you spend. The Kohl's cash is basically like a gift card to the store with a specific time frame for redemption. Nonetheless, who deosn't like money back? !